Early modern play quartos with fresh call slips in the reading room at the Harry Ransom Center (UT-Austin). I have spent a good deal of time in rare book and manuscript libraries over the past twelve years: as a graduate student doing coursework at two universities with strong special collections; as a researcher requiring first-hand access to thousands of discrete book objects for a monograph on early modern playbook typography; and as a teacher of classes designed around book historical modes of reading and inquiry. By this point, I might even call myself an “experienced” user of such institutions. But if I have learned anything from fellowship tenures and short research visits to libraries as big as the British Library and as small as the Eberly Family Special Collections Library at Penn State (where I now work), it is that no two special collections libraries are the same in their researcher protocols; or in how their collections are organized, catalogued, and accessed. My effort this spring to do exactly the same kind of research at the Harry Ransom Center and the Beinecke Rare Book & Manuscript Library under similar time constraints has underscored the extent to which institution-specific histories, priorities, and policies (i.e., the things that have gone on—and are going on on—behind the scenes) shape how readers like me and you approach and use the collections. Sometimes it can be confusing. So, here’s the truth: I still feel daunted every time I visit a library I have not worked in before, or return to one I have not used in a while. Not only do I have to figure out what I want to look at, how to locate it in the catalogue, and how to physically access it; but there is also a slew of far more basic matters: registering as a reader; navigating the library building and designated research spaces; figuring out what I can bring into the reading room with me and where to put all the stuff I can’t; interfacing with the circulation desk and security staff; locating the bathroom; gaining permission to take photographs (if that’s allowed); finding outlets for my chargers; getting on the local wifi network; etc. 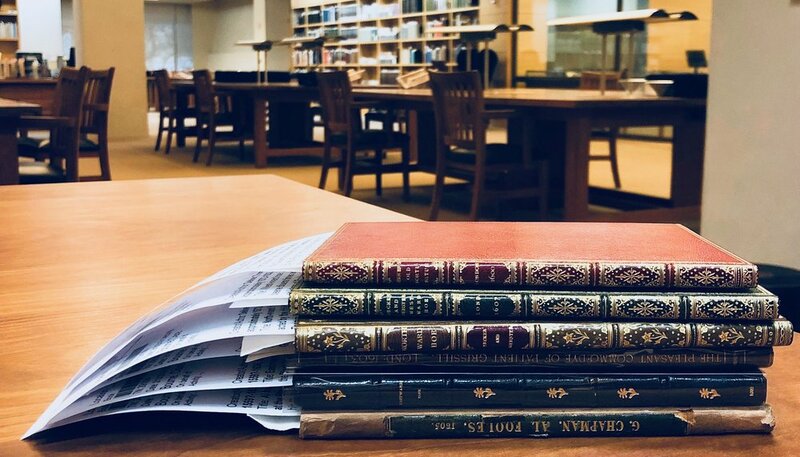 It would be impossible to write a quick and general “how to” guide for using special collections libraries since all these institutions are so different. However, knowing what questions to ask from the start (and who to ask) can make a research stint at one of these institutions more efficient and productive—and, if you’re like me, less intimidating. While online orientation and research guides are getting better all the time, it has been my experience that meeting with the people who work closely with the collections on a daily basis—reference librarians, curators, and other members of staff—is the most effective way of getting acquainted with the library. Their expertise is invaluable. With this in mind, I have compiled a working list of questions that I find useful to ask before and during my time in a new reading room.